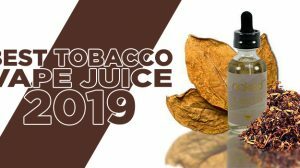 When first laying my eyes on the OBS Engine RTA, I honestly didn’t think it would be a top performer, but after I learned how it was designed and how easy it is to build on and wick, I quickly became a believer. 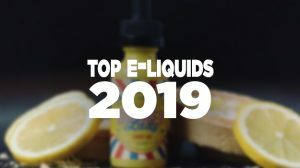 If you’ve kept up with my latest reviews, more specifically my last RTA review, you’ll know that I’m not the best when it comes to wicking. However, I’m really beginning to enjoy RTA’s these days due to the way they’re designed. The OBS is just another one of those rebuildable tanks that seemed to be designed perfectly for someone like myself. Let me tell you about it in this OBS Engine RTA Review! Appearance: Truthfully, the OBS Engine RTA doesn’t look like it’s a top performer, but the looks can be quite deceiving. In fact, my first impressions of this tank was that it looked a bit gimmicky in the way it was designed, and I believe that is namely due to the appearance of the top airflow. The way it looks, it just doesn’t look like what you’re used to seeing from other tanks on the market. To go into detail on its appearance, there is a 6mm wide bore diagonal drip tip on the top, and just below sits the adjustable airflow, which has 3 slots. Its chassis is constructed of 304 stainless steel, and it uses quartz glass for its tank portion. Below that is the bottom base with no adjustable airflow or anything that is noteworthy to mention. However, on the inside of the tank and more specifically on the coil housing there is a printed “Engine” name and on the opposite side there is an image of a propeller. 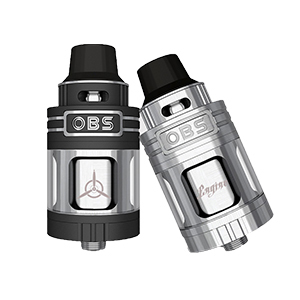 Below the top adjustable airflow the brands name “OBS” is etched into the metal, along with etched lines that circle the tank. Features: Based on a 25mm diameter design, this Engine works hard to deliver the best performance. 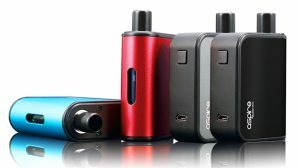 And, the way it’s able to perform is through features like its adjustable top airflow that was already mentioned, along with a 6mm wide bore drip tip. Now, the great thing about this airflow design isn’t just that it provides plenty of air to produce big clouds, but with the airflow being placed at the top and the top only, it means this tank is leak resistant. There is literally no way for eliquid to leak out the bottom of this tank, like you’ll find with most tanks. 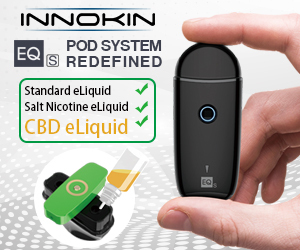 Continuing with its features, you also have a 5.2mL tank capacity, a sliding top side fill system (the easiest way of filling a tank that I’ve experienced yet), and there’s also an isolated build deck and tank assembly that sports a locking design and a claims to cut the temperature by 30%. There’s also a two post build deck or better known as a Velocity style deck, giving two terminals per post. On the deck itself, there are four subdeck wicking channels that are 4mm in diameter each. 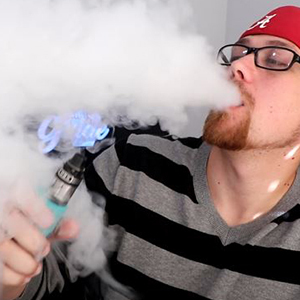 Wicking the OBS Engine is super easy, just simply stuff the cotton in those holes and you’re good to go. Performance: When it comes to the performance of the OBS Engine, this is where you’ll be most impressed. Simply combine a nice coil build and a good wick setup, then you’re golden! 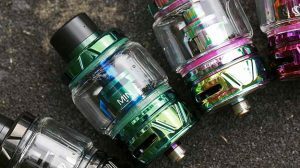 Producing big clouds becomes easy with the airflow this tank provides from its triple slot airflow at the top and its wide bore drip tip. 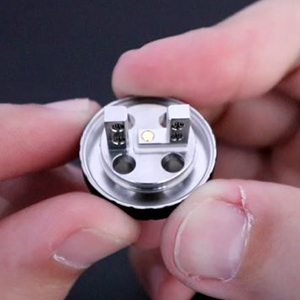 The way this RTA is designed makes wicking easy, so you’ll never have any issues, giving a clean and consistent vape each time you take a pull. Building on the OBS Engine is quite easy, much like its wicking. Since everything is so user-friendly with this RTA, it allows you to make better builds and wick it right the first time, resulting in an overall great performing tank. The OBS Engine RTA is an incredible rebuildable tank atomizer that features an incredible design, while being very user friendly. It's easy to fill with its sliding side fill port, it's easy to build on with its velocity style deck, and it's easy to wick, while also being leak proof. It just doesn't get any better than the OBS Engine.